So much about wine is simple perception. We all have our own ideas about wines we perceive to be good/cheap/bad/snooty. One thing that has a big impact on these perceptions is the type of container a wine comes in. The traditional wine format is a bottle with a natural cork. 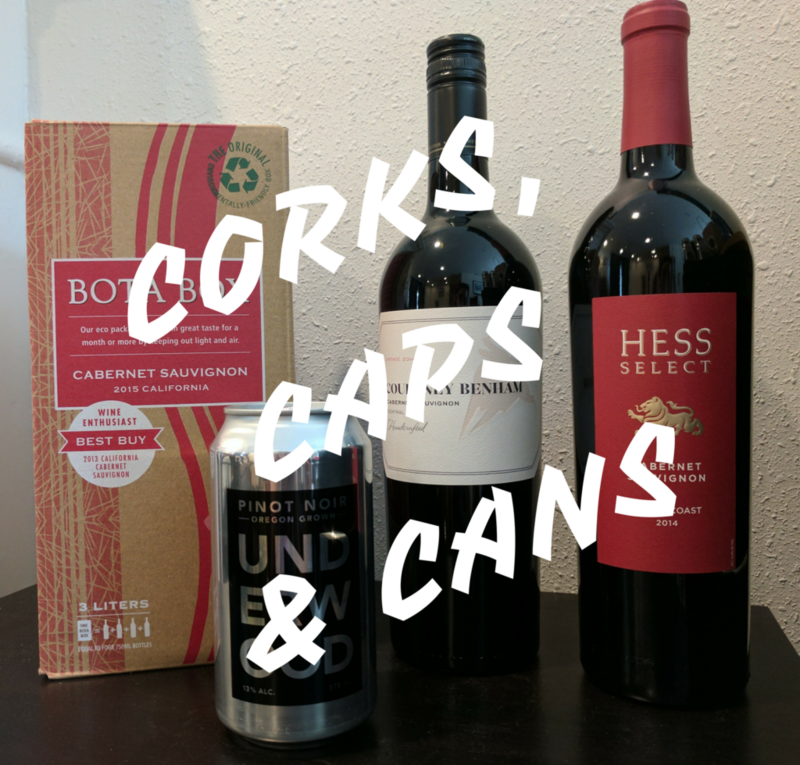 But you can also get wines in bottles with synthetic corks, screw cap bottles, boxes with bladders and even aluminum cans. Just reading about these different formats, I bet you’ve formed some opinions on the wine that comes in them. But how much do we really know about these different formats? Why do they exist and what are their pros and cons? More importantly, are our assumptions and biases about them correct?